The Spotswood Police Department is proud to introduce our latest Community Policing Program designed to include community participation: the Spotswood Police Neighborhood Watch Program! This joint program supported by the Spotswood Police Department, the Spotswood PTA and the Spotswood Drug and Alcohol Alliance is just one more way we are committed to the residents of Spotswood. Together, we will be able to attack crime in our community through a pro-active Neighborhood Watch Program, while enhancing our relationship with the citizens of Spotswood by keeping them informed. The program is designed to have a Community Based Organization of Citizens working together with the Spotswood Police Department to become a partnership in preventing crimes against our community and its members. The Neighborhood Watch Program has assisted thousands of communities when individual citizens work with law enforcement to make their families less inviting targets for crime. Through education and community involvement, citizens learn how to report suspicious activities, burglaries, and other related offenses. It is a proven fact that when a concerned citizen does their part, the possibilities are endless and the results positive. The Neighborhood Watch Program is active in thousands of communities throughout the United States. It is the most successful anti-crime initiative in the country. Furthermore, the Neighborhood Watch Program is dedicated and has enthusiastic residents who have been trained to notice suspicious activity and report them to the police department. This is not an old concept. We are asking ‘Neighbors to help Neighbors’. And when neighbors cooperate with law enforcement, crime can be reduced. 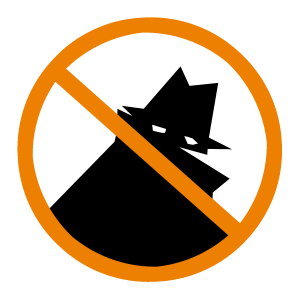 Numerous convicted burglars have stated that they are simply not prepared to take the added risk of committing a crime in a Neighborhood Watch Community. Citizens who are trained become involved in ‘watching’ their neighborhood. They carefully watch the neighborhood and will ‘IMMEDIATELY NOTIFY’ law enforcement of any suspicious or criminal activity. Community members will use crime prevention measures to make it very difficult for suspicious activity or criminal behavior to operate within our community. Continuing active participation through citizens and keeping everyone involved is a major building block in a pro-active Neighborhood Watch Program. With a joint effort between the Spotswood Police Department, Spotswood PTA and Municipal Alliance, we will continue the pledge against crime and violence. Monthly meetings and continued training will be coordinated through the Spotswood Police Department to insure the integrity of the Neighborhood Watch Program. The Neighborhood Watch Program will enable the Spotswood Police Department to advise community residents about crime problems and crime prevention. This information will be distributed through meetings, newsletters and our local Neighborhood Watch website. The Neighborhood Watch Program makes citizens more observant and able to become the ‘Missing Link’ between suspicious activity and the Spotswood Police Department. We ask the community to be alert. Anything that seems slightly ‘out of place’ or is unusual should be reported to the Spotswood Police Department. DO NOT ATTEMPT TO DETAIN OR APPREHEND ANY PERSON COMMITTING A CRIME OR INVOLVED IN SUSPICIOUS ACTIVITY. Call the Spotswood Police Department at 732-251-2121. Please do not worry about being embarrassed if your suspicions prove to be unfounded. The Spotswood Police Department is committed to providing a professional service to the community and the members. We would rather investigate suspicious activity than to be called when it is too late.